In the stifling jungles of a small South American country, Robert Clay works as a civil engineer at a mine. With two American assistants, he attempts to reap all the rewards found in this challenging environment. But he also has a secret history as a mercenary, fighting for whichever side will pay him the most. Clay finds himself in love with Alice Langham, the daughter of the wealthy American owner of the mine. His competition for Alice is Reggie King, who is also from an illustrious and powerful family. Together, these characters find themselves at the center of an explosive political situation, where a violent revolution is about to begin. All are caught up in the uprising, and must take whatever measures necessary to survive. But Clay and his companions see a way to make money and gain power in this most dangerous of enterprises. 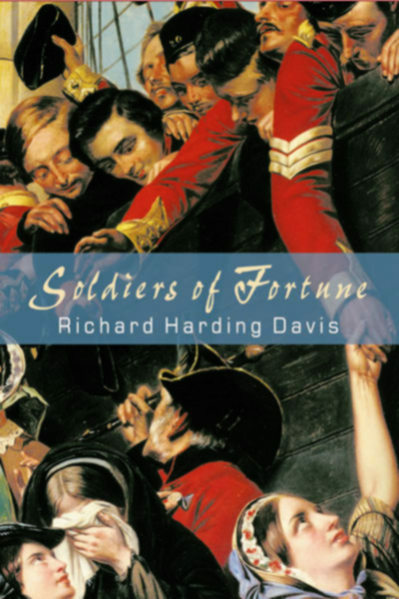 Soldiers of Fortune is a kind of novel that is not written anymore: men achieving recognition and honor by engaging in daring exploits in the midst of arms and warfare. The key to survival is personal commitment, and politics and patriotism are a thing of the past. Using an almost journalistic kind of writing, Richard Harding Davis is able to bring great realism to the story, making Soldiers of Fortune an unforgettable journey through dangerous times. Read Richard Harding Davis' biography. Other books of similar interest: 1492: Admiral of the Ocean Sea, by Mary Johnston.